This piece was inspired by many visits to the Audubon Canyon Ranch near Stinson Beach in Northern California. The birds return each year to nest in the spring. It is such a beautiful sight to see the birds flying out from the nearby trees to the ocean. 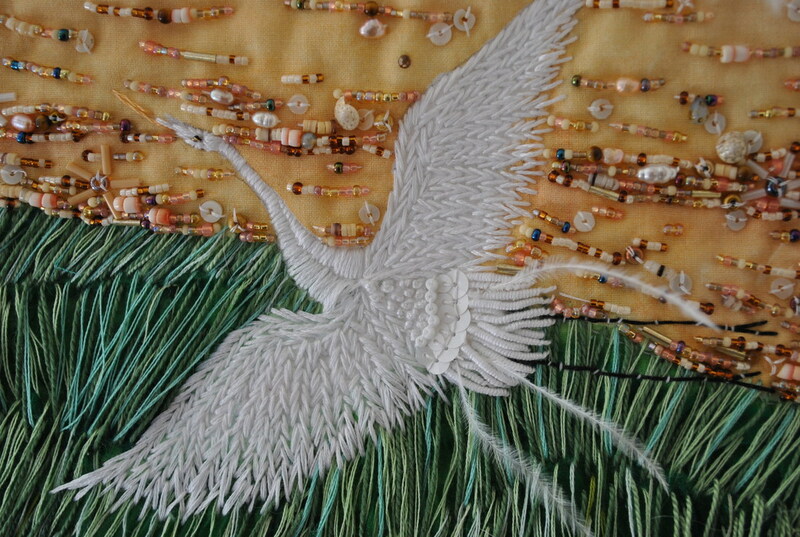 The piece is constructed on a whole cloth painted cotton. It is then hand embroidered, embellished, and beaded. 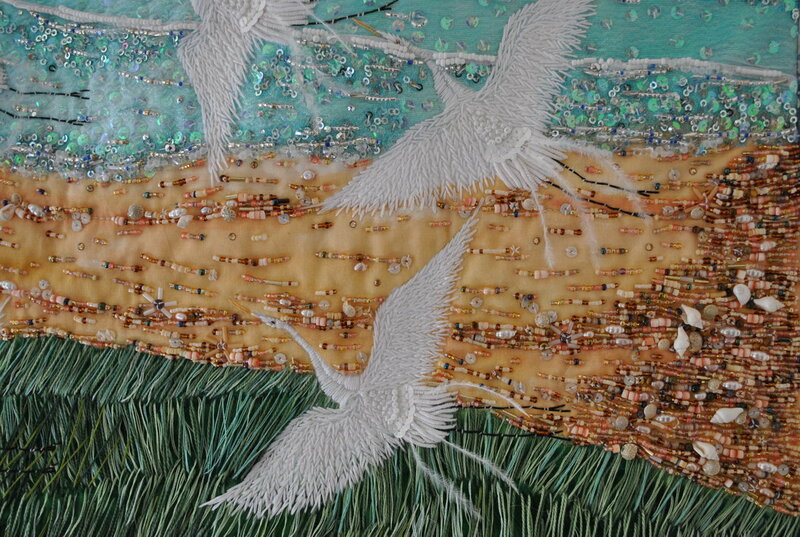 The beach grasses are constructed with hand dyed and manipulated silk chiffon, which is over embroidered by hand.